KATHMANDU, July 02: Buddha Air will be taking delivery of its new ATR 72 aircraft on Tuesday at Tribhuvan International Airport. The new aircraft, with the call sign 9N-AMU will be landing at approximately 5:30 pm. The airline has gained the necessary permission for operating the aircraft from the Civil Aviation Authority of Nepal. The addition will be the 11th aircraft in the Buddha Air fleet. Airline officials note that the new arrival will make it easy to conduct timely flights and to make repairs to other aircraft without affecting its customers. The 11-year-old aircraft was previously operated by Air Caledonie and later sold to Kingfisher Airlines in India. 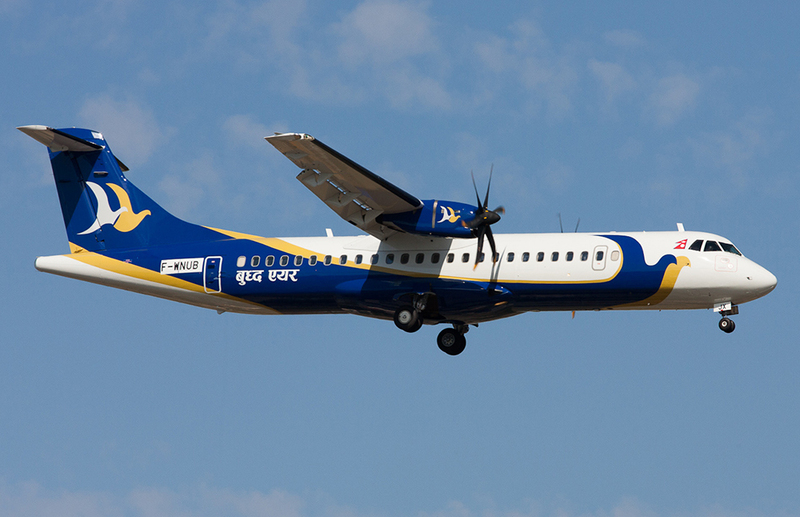 Buddha Air is planning to purchase four ATR 72-500 aircraft to expand its flight networks in India.